Today marks the release of The Beach Boys’ 30th studio album, That’s Why God Made the Radio. The band is currently playing their 50th anniversary reunion tour, which will bring them to BYU’s July 4 Stadium of Fire show in Provo. 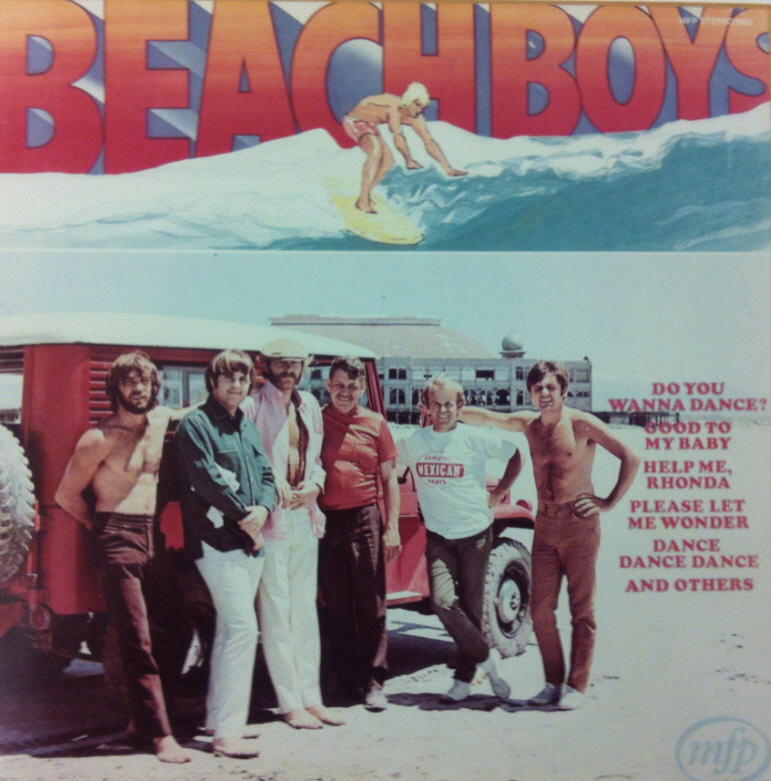 Since I’ve got The Beach Boys on my mind, and since I’ve always got Saltair on my mind, it’s high time I address the Beach Boys – Saltair connection. What do Saltair and The Beach Boys have in common? The answer may surprise you. Sure, one was a long-vanished resort in Utah, the other a rock band from California. But think about it. Both spark thoughts of sun, sand, and saltwater. Both were arguably products of genius, their legacies unmistakable. Both have rocky—even tragic—histories. Both have persisted through the years in some incarnation or another. Oh, and one other thing: these icons of music and culture met each other one summer day in the late 1960’s. Who’s the guy standing with them? It’s no secret; it’s not well-known. The online speculation is amusing. He might be the Wilsons’ father, Murry. Or Bruce’s father, or the band’s Mexican bus driver, or a Brazilian cabbie. The truth makes a lot more sense and is actually quite interesting. So who is that guy, and what brought The Beach Boys to Saltair in the first place? Check back early next week for the answers to these questions and several other nice tidbits on The Beach Boys’ connection to Utah. Or, since it’s already posted, just click here. 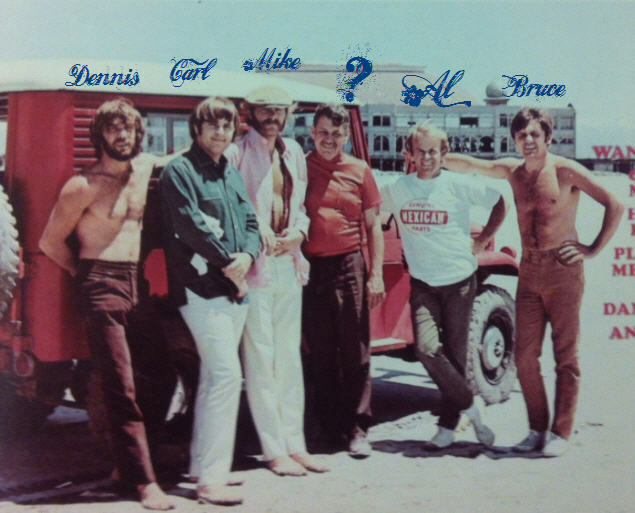 SUPER excited to hear who that guy is, and what brought the Beach Boys to Saltair? I love the story KSL did about the song “Fun Fun Fun” that’s about a Salt Lake girl! 🙂 SO cool! Hey Goldie, hold off on the spoilers!!! That’s my grandfather, Bill “Daddy-O” Hesterman, who was a DJ for KNAK radio and who was instrumental in the Beach Boys’ history! And that was my Uncle Mark’s jeep! No it wasn’t, and nor will any more of yours. Sorry about that. I realize there are plenty of you who are quite familiar with this story, and while it’s a buzz-kill to have all of you jump in with the answer, I see that’s inevitable. Silly me for trying to keep this particular post teaser-only for those not already familiar with the story. By the way, I used the term “redact” because not only did I change your text, I added my own elements to it. “Edited” might have been a better word. So what year is that Toy Cruiser Parker? And in what month of what year were those photos taken? Haha, well, that much I can’t say that I know–and I’m sorry for the buzzkilling spoiler, our whole family is just so excited to see someone pick up on this! We’ve got this album cover framed an hanging at our house, but I can’t say that I know what year the Toy Cruiser is or what month the photos were taken–and I would really like to find out! Parker, and it’s been great talking to your family! I’ve been casually trying to track down info on that photo shoot for some time, so I was excited to finally get in touch. I’ll send this post on to Bill’s sons and see if we can get some more detail on the when, why, and how of this photo. FWIW, I don’t mind that you cut the details out of my post. I only wanted to show off that I knew the answer before you posted it ;). Bo, I talked to Bill and his brothers last week and I think I’ve got most of the details. I always welcome more, though!